As the race for promotion to the Premier League heats up going into the final weeks of the season, pressure is rising on those clubs still involved in the battle for a return to the promised land. Recent results of the two clubs most engrossed in the battle for second, Leeds and Sheffield United, have shown that both are feeling the pressure, with the two Yorkshire sides both dropping points in games that they would have been expected to win. Currently, it is Sheffield United who find themselves looking up at the automatic promotion spots, as they trail Marcelo Bielsa’s Leeds side by three points with four games of the season remaining. With so much at stake come the end of the season and the winners and losers looking set to be decided by such tight margins, it is likely that every decision taken by those calling shots at the two Yorkshire sides will be heavily scrutinized. One decision taken by The Blades that may well come back to haunt them revolves around one of their transfer dealings back in January, when striker Leon Clarke was allowed to go on loan to the opposite end of the Championship table, where the 34-year-old is currently working to help Wigan Athletic battle against relegation back to League One. Though Clarke has still to hit the heights of his prolific season for Sheffield United last year, his performances for the Latics have remained impressive. The target man offering an outlet for Wigan’s attacking play, holding up attacks and troubling defences to prevent sides from throwing all they have at a side that is becoming increasingly difficult to break down at The DW Stadium, something that The Blades themselves could do with now, having won just one of their last four games. 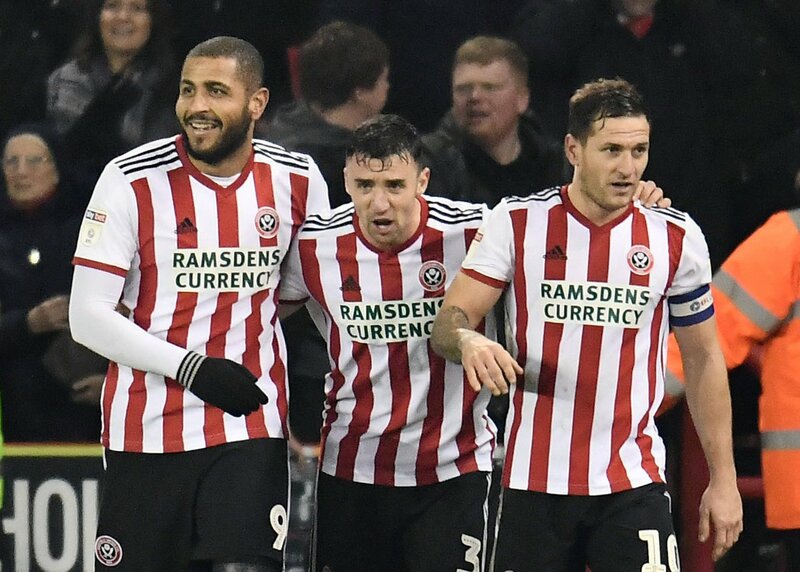 Had The Blades had Clarke available to wear down defences in the way he has done for Wigan, you wonder whether more chances would have fallen the way of Chris Wilder’s side, and then the promotion race could have looked all so different. Ironically, Clarke could still do The Blades a big favour in the race for promotion. He was only denied doing so on Sunday when a dubious offside flag denied him a stoppage time winner against league leaders Norwich, and with Wigan making the trip to Elland Road on Good Friday, Blades fans will hoping Clarke comes up with a similar moment again there, only with the official’s call going the other way. Then the decision to let him go in January could inadvertently become a masterstroke.